PrecisionHawk secures $75 million for commercial drone technology » UAV DACH e.V. RALEIGH, N.C.—PrecisionHawk Inc.—a leading provider of drone technology for the enterprise—announced today it has raised a $75 million round of funding from a group of venture and strategic investors. This investment brings PrecisionHawk’s total funding to more than $100 million since being founded in 2010, making it the world’s most well-capitalized commercial drone company. The round was led by Third Point Ventures. Additional new investors include Comcast Ventures, Senator Investor Group, Constellation Technology Ventures and Syngenta Ventures, among others, with participation from existing investors Intel Capital, Millennium Technology Value Partners, DuPont, Verizon Ventures, a subsidiary of USAA, and Indiana University’s Innovate Indiana Fund. With this investment, PrecisionHawk can build upon its lead in the commercial drone space and apply capital to expand its team, focus on product innovation and make strategic acquisitions. This is all part of a broader mission to foster the adoption of commercial drones and capture the global market opportunity. 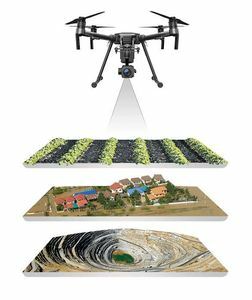 While scores of drone-tech companies have sprung up to address one piece of the difficulties businesses face while assessing how to integrate drone data, PrecisionHawk’s vision is broader. The size of the funding round speaks to the pace of PrecisionHawk’s growth, and what investors see as a growing business opportunity in commercial drone technology. „Drones are increasingly providing valuable insights to businesses across a wide variety of industries, and PrecisionHawk is leading the way in many innovative and forward-thinking applications,“ said ClearSky managing director James Goldinger, who has joined the PrecisionHawk board of directors. Goldman Sachs Research predicts that the sector’s fastest growth will come from businesses and civil governments that are expected to spend $13 billion on drones through 2020. To keep up with the increasing demand, PrecisionHawk has grown rapidly in a short period of time. The company hired more than 100 new employees in 2017 and expanded its ability to provide services around the world and across a variety of industries, adding product offerings in energy, insurance, government and construction. The broader focus is in addition to its long-standing work with agriculture’s leading enterprises. Beitrag im Original auf http://theuasmagazine.com/articles/1812/precisionhawk-secures-75-million-for-commercial-drone-technology, mit freundlicher Genehmigung von The UAS Magazine automatisch importiert, Original in englischer Sprache.